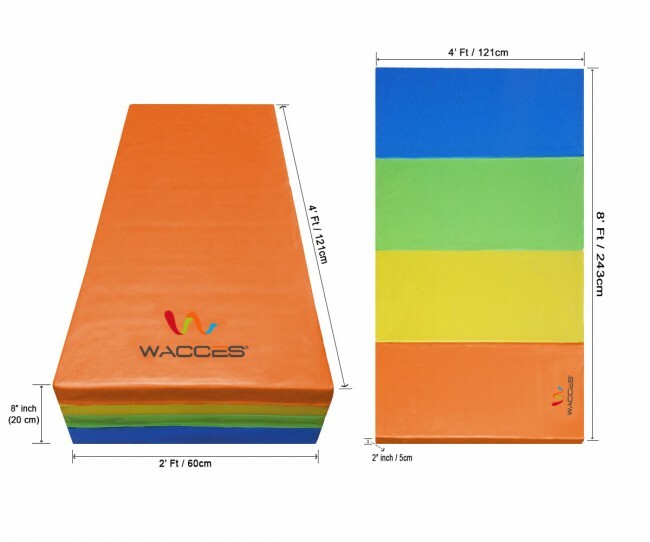 Add a comfortable and functional exercise aid to your home gym with this 4' x 8' Folding Exercise Mat by Wacces. 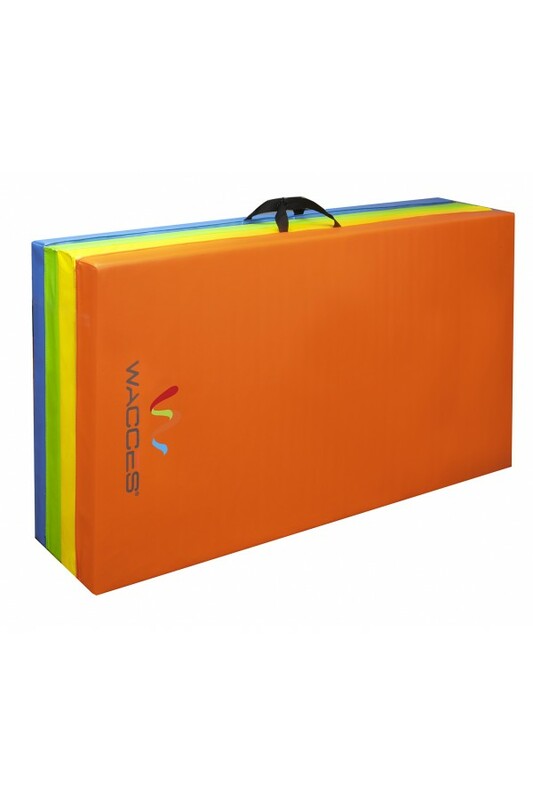 Add a comfortable and functional exercise aid to your home gym with this 4' x 8' Folding Exercise Mat by Wacces. It is constructed of sturdy and durable materials for long-lasting use and features a non-absorbent outer shell that is impervious to water or sweat and can be wiped clean. It is specially designed to provide superb cushioning and a stable foundation for all of your fitness needs. 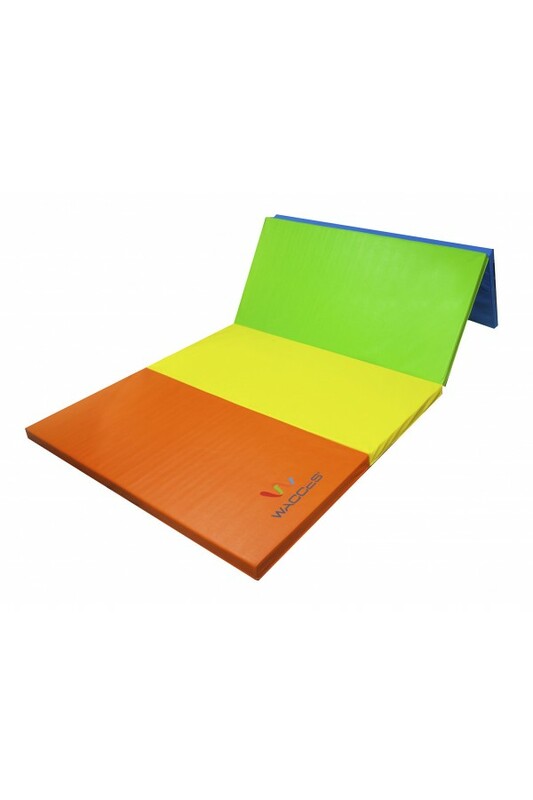 This exercise mat has a foldable design, allowing it to be easily stored when not in use. In addition, this thick mat is equipped with two solid sewn handles, making transporting it to a gym or yoga class a breeze. It features Wacces official logo to add more style to your daily exercise. Pair this mat with additional matching gym equipment for a total workout. 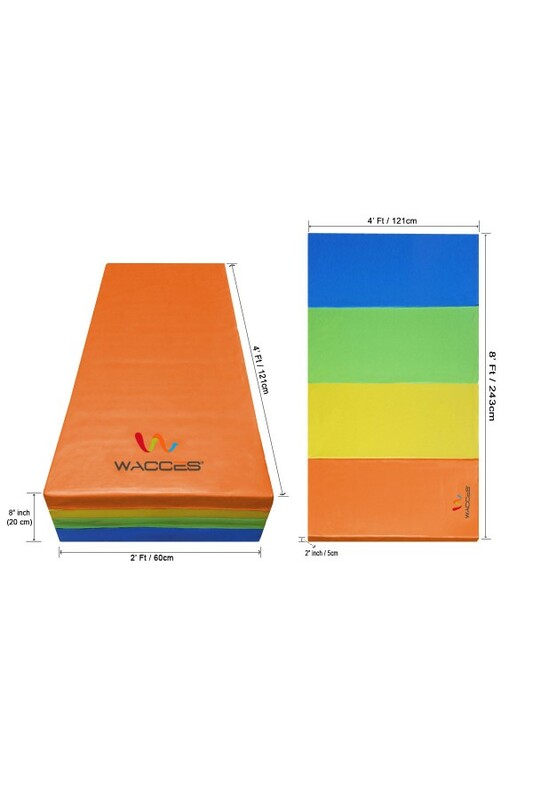 Ideal for men, women and children, this Wacces exercise mat is also ideal for dancers, tumblers, gymnasts or anyone who performs daily stretches. Adding cushion to your floor work is a great way to protect your posterior. Grab this Folding Mat for your floor workout and stretching. Made with 2" dense padding for extra comfort and support, this mat is ideal for you if you need some extra cushioning. This mat can also be used for high intensity exercises, such as martial arts or pilates. 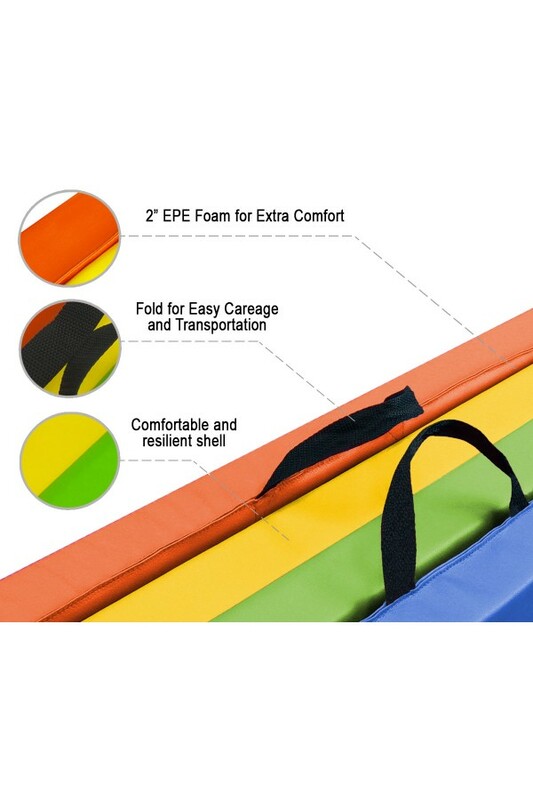 4' x 8' x 2" Gymnastics mat folds into 2 foot sections for convenient storage and shipping. 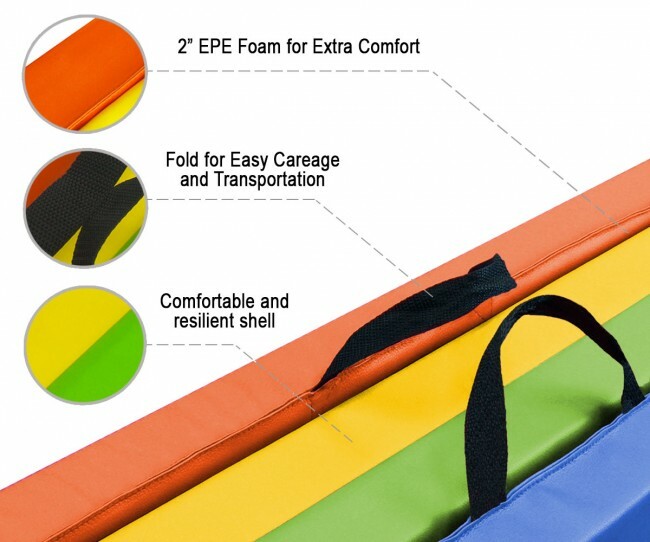 The zippered moisture-resistant cover is easy to wipe down, and the mat folds easily and has integrated handles to make transportation and storage a breeze! SPECIAL DESIGN: Designed to provide superb cushioning and a stable foundation for all of your fitness needs. Adding cushion to your floor work is a great way to protect your posterior. 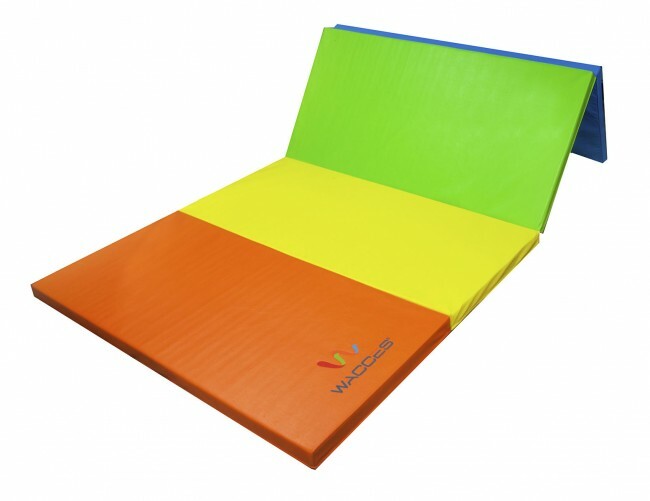 MULTI-PURPOSE: Great for Gymnastics, Tumbling, Exercise, Aerobics, Martial Arts, Cheerleading, Yoga, Pilates, special needs, kids, and can be used in much more. SAFETY and ECO-FRIENDLY: Non-Toxic lead-free materials, and produced from 2” high density EPE foam and covered by Eco Friendly PU leather. EASY to CLEAN and MAINTAIN: Featured with non-absorbent and moisture-resistant PU leather cover which makes it easy to wipe down. 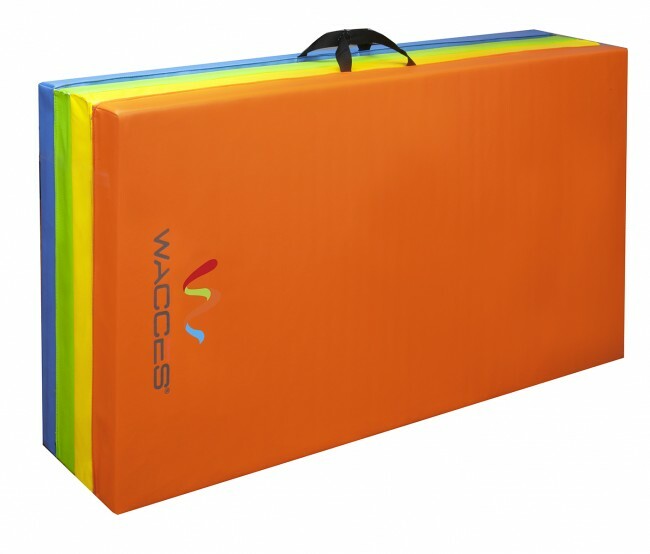 FOLDABLE and PORTABLE: Wacces 4' x 8' x 2" Folding Exercise Mats folds easily and have integrated handles to make transportation and storage a breeze.